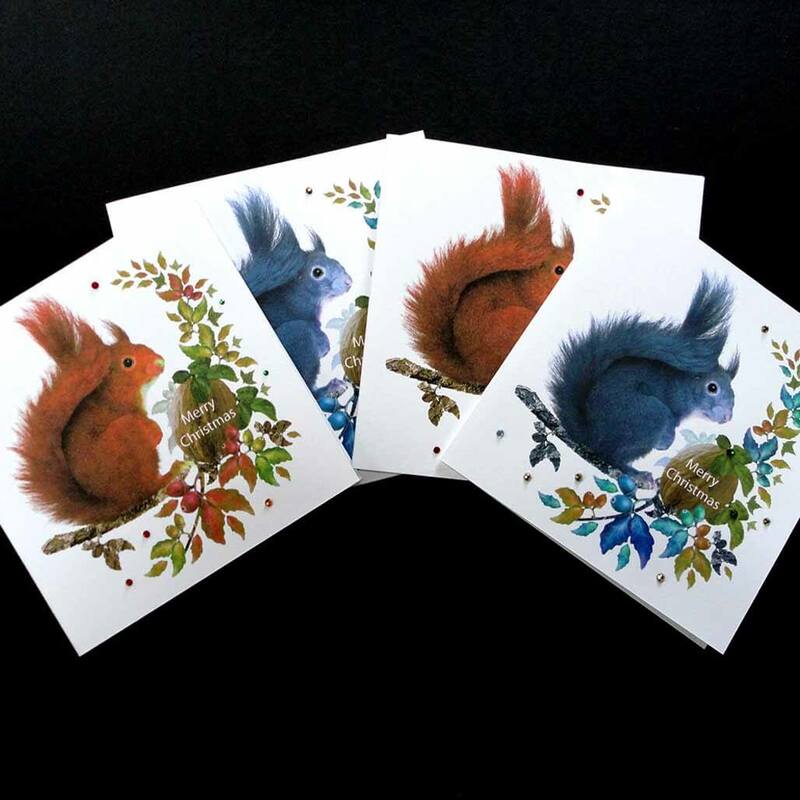 At this time of year with the Autumn leaves and nuts falling, we see the squirrels hiding their food for Winter. 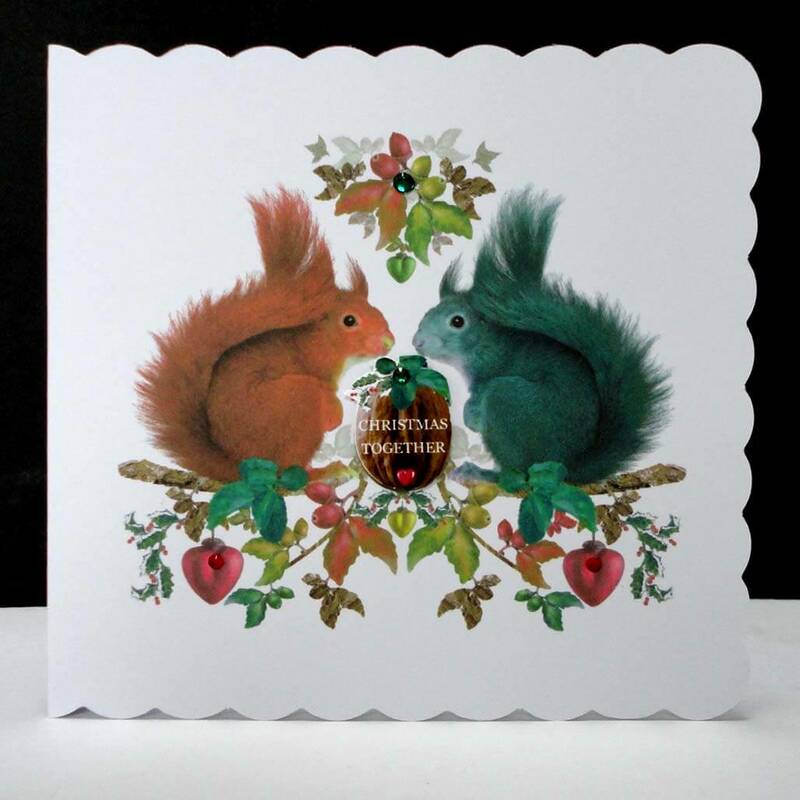 Watching them eat the walnuts off a local tree it brings to mind cute life like illustrations of Beatrix Potter. 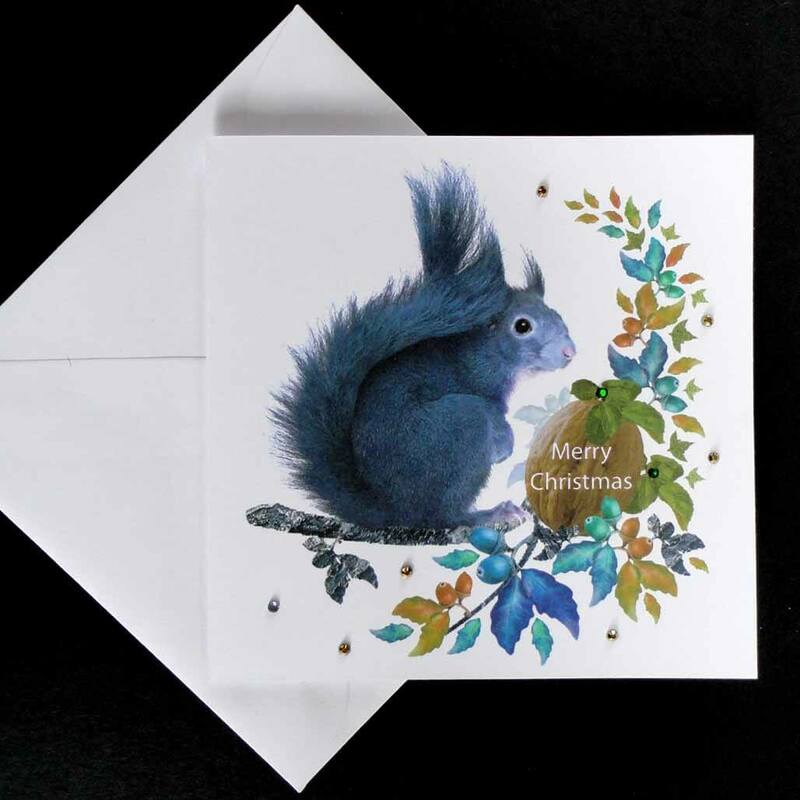 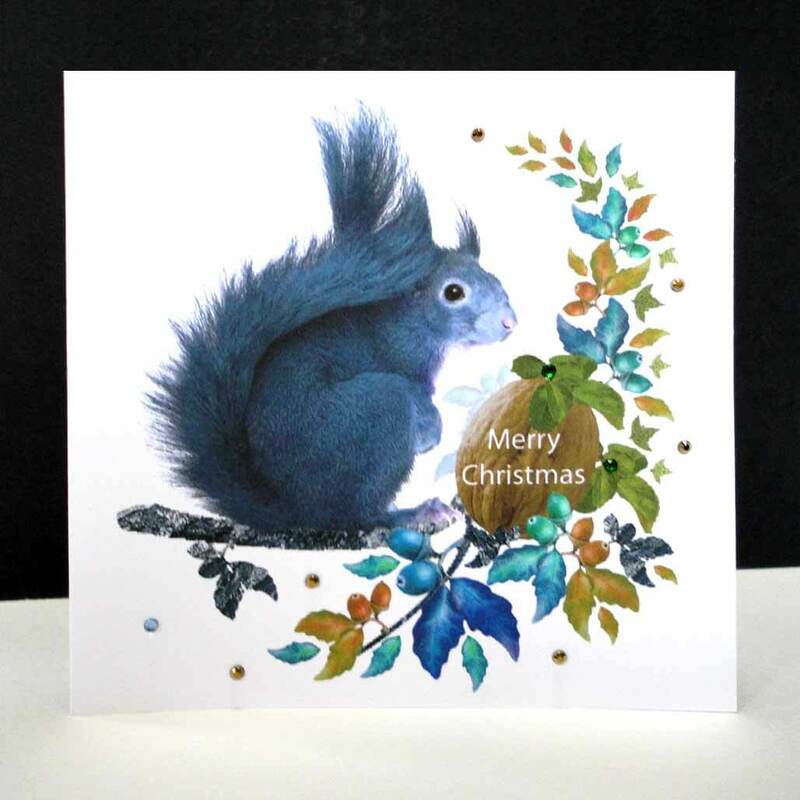 This card has this blue- grey squirrel perched on a branch of leaves and acorns in tones of blues, greens and gold. 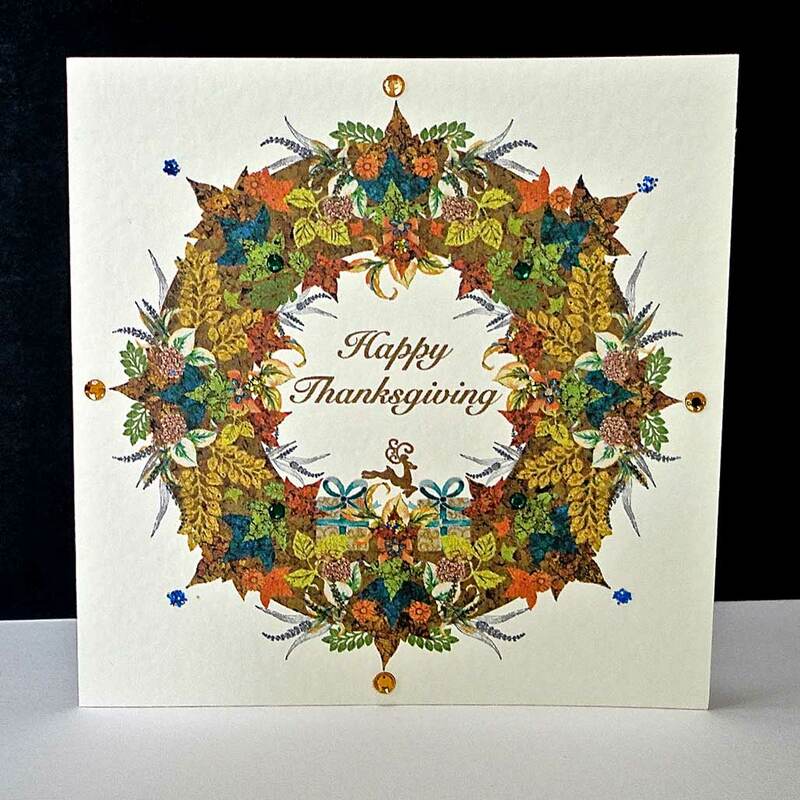 The message Merry Christmas is printed on a large walnut nestled in the foliage. 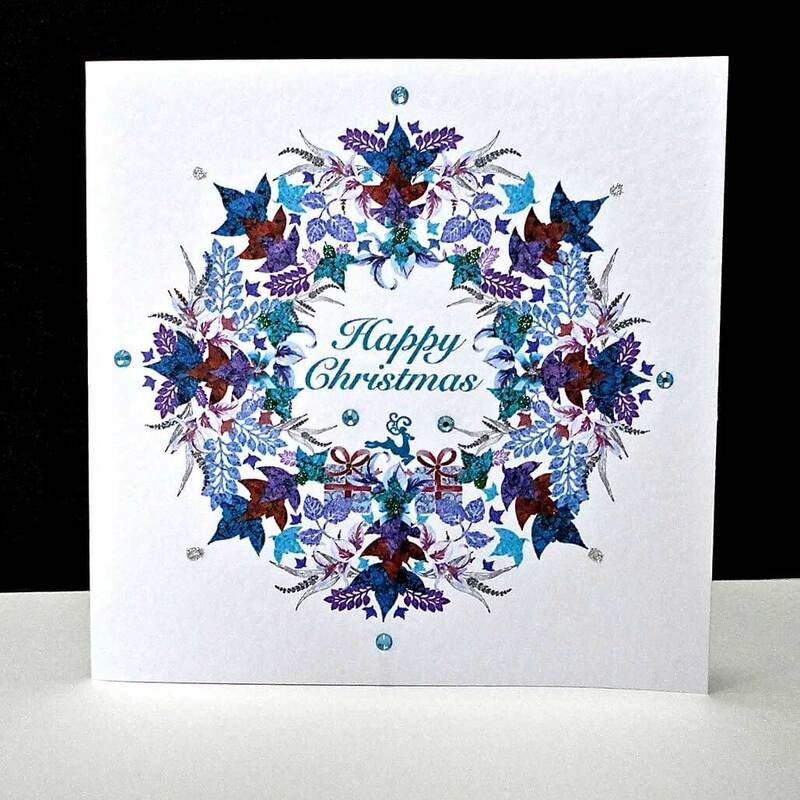 Matching coloured glass gems are added for Christmas sparkle. 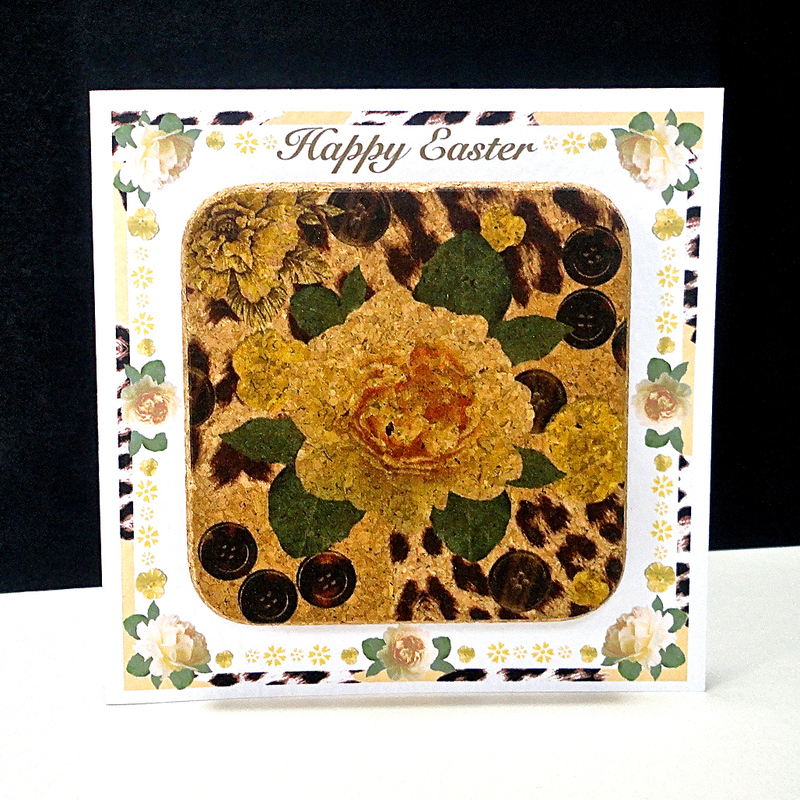 This card is handmade in the studio with hand-drawn and photographic elements brought together in Photoshop. 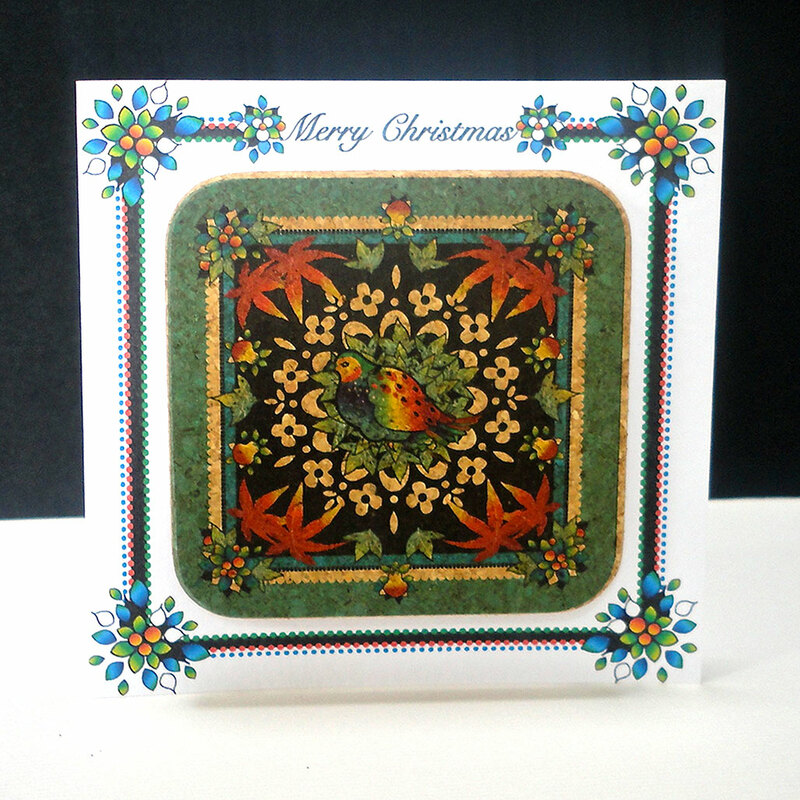 Size: 125 x 125mm square with matching white envelope.